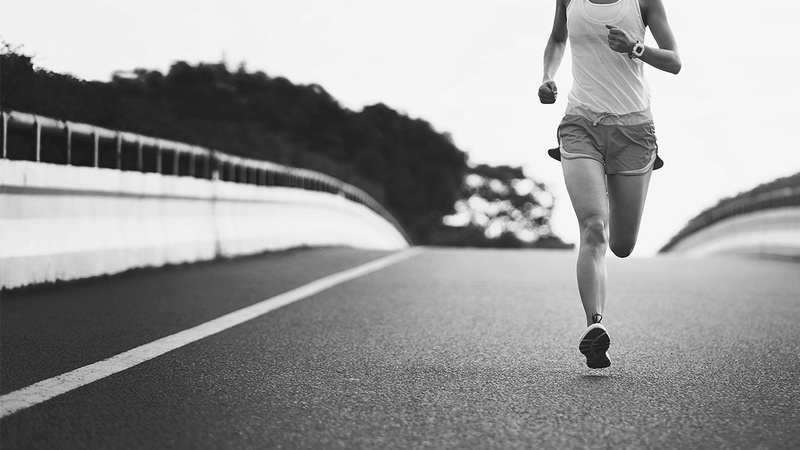 Marathon training can get monotonous, especially when you’re building volume for longer miles. We’ve outlined some bulletproof workouts to help structure your days and ensure the work you’re doing will translate to a faster race. The recovery here is normally done as a jog or light run, but you can also use a walk or static recovery as you build your endurance. Run these efforts at half marathon to 15-kilometer pace to keep lactate levels low to moderate. Progressive intervals in this workout are key, especially if it’s early in your training cycle. Tolerance workouts are the next step in building marathon fitness. These efforts are significantly longer and require the athlete to maintain a 10-kilometer to half marathon pace for eight to 12 minutes. These intervals build the body’s ability to resist fatigue and buffer lactate. I like to use these with athletes who need the early confidence to hold pace but aren’t quite ready to handle an extensive tempo session. The rest and recovery here can be modulated as static rest early on, and a steady jog later in the cycle. These intervals will make marathon pace feel significantly easier, but they can be demanding, so use sparingly. These workouts are best for runners with good form and a need for speed. They build a higher level of lactate tolerance than marathoners will usually need in a race, but the benefits carry across the entire pace spectrum. I ask my athletes to focus on perfect form, and to be diligently progressive with pacing. These workouts are very taxing both physically and neuromuscularly, so be conscious of going into them sharp and ready to perform. If you’re doing these workouts as part of a long speed build (or as a newer runner), break the first sessions into sets/reps to allow for additional recovery. You’ll also want to steer clear of these early in a training cycle — they look appealing, but without the right neuromuscular build can easily result in an injury. If you want a big hit of speed early on in your training, consider an extensive high count, shallow grade, hill workout instead. Continuous tempo workouts are for athletes who are efficient and confident pacers, and who can maintain a high level of output for a long time. The goal is to build tolerance to the acidic muscular environment created in racing, as well as the mental toughness to hold a consistent effort. No rest is built into these efforts, so you should be able to maintain your marathon goal pace for at least 20 minutes before attempting them. Avoid Zone 3 in these efforts, as the metabolic costs outweigh the benefits. These types of workouts can be also difficult at altitude, so consider modifying to longer steady state intervals if you’re at or above 4,500 feet. Regimented protocols and targeted running can put a lot of pressure on an athlete — leading to both physical and mental fatigue. So when you find yourself fatigued or struggling to hit pace, try a workout with the only goal of completing timed intervals. This is a great workout the week after a race build up, as it takes the pressure off hitting specific paces. I normally structure the workout to be efforts of 30 seconds to two minutes with recoveries as needed. I like for athletes to run with music or in the morning when they feel the most energized, allowing them to finish the session feeling satisfied and like they completed the work. Some athletes build confidence with big workouts or magical interval sessions, while more experienced athletes will look towards their long run to see progress and readiness for performance. Athletes with a few marathons under their belt might use intervals like two minutes at marathon pace and two minutes at Zone 2 for four miles, or marathon pace for two to three miles, done during a long run. These allow you to test your nutrition and hydration plan as well as replicate the feelings of late-race fatigue. These long run intervals are best used later in the cycle when athletes are fit — use sparingly as they can really empty the tank. Test your nutrition and hydration based on time or mileage intervals, so you can begin to feel when you’re approaching a nutrition or hydration low point. Integrate these workouts with a healthy break from structure now and then, and you’ll be well on your way to a stronger marathon.